I was prompted to install JRE version 8 after upgrading to Yosemite on the family 2010 21" iMac. After I installed it (and checked whether the correct version was installed on the site of Oracle) it prompted that it wasn't installed although it was. I tried just following the steps they gave me to install it, but to no avail. Yosemite still asks to install the JRE on restart. Does anyone know where the problem is or how I could solve it? Install the SDK instead of the JRE. I had a similar issue: I installed the JRE and ran the webpage-based test that said I installed successfully. But my java-based app wouldn't run, and running java -version in the console said Java was not installed. On a whim I decided to install the full SDK and now it all works. Apple has a page here where you can download an updated version of Java. This is a known issue on Yosemite and El Capitan, when some software requires the deprecated version of Java 6 shipped with earlier versions of OS X. You need to download and install the legacy Java 6 provided by apple, from the first link. Even after installing JRE 1.8, I couldn't get Java to work from the terminal on OS X El Capitan. So I copied the path found in the "Java Control Panel" and created a link. Not the answer you're looking for? Browse other questions tagged macos yosemite install java . Is there a way to determine what application wants Java installed? 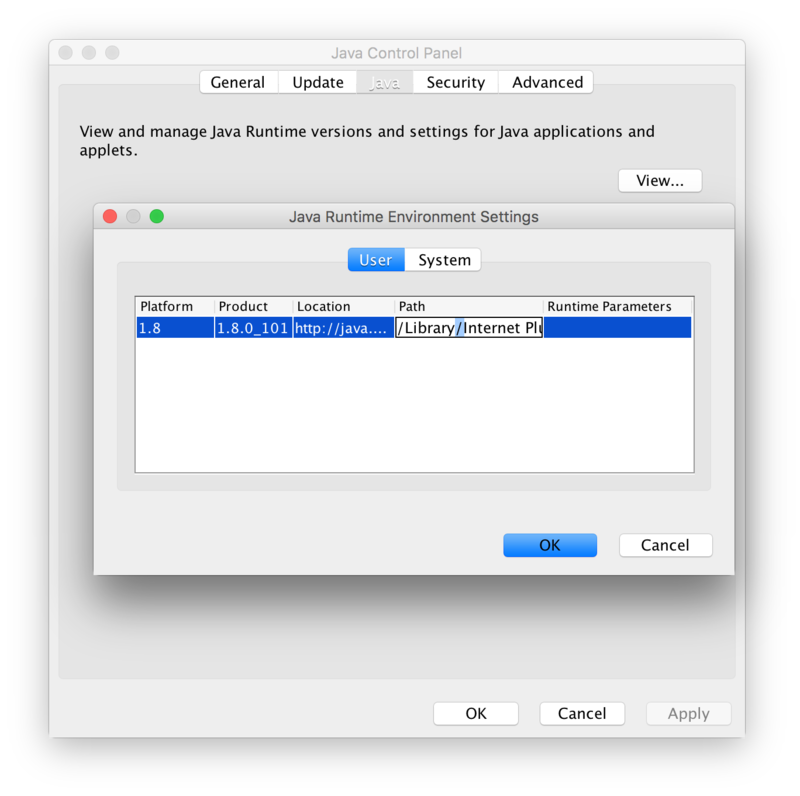 How to reinstall Java 6, for development for Android, on Mountain Lion?